This is the eleventh session of a 12-part Workshop Series organized by AYC and YNPN. Attendance at previous sessions not required. Thinking about serving on a nonprofit Board? Join us to learn more about the Central Texas nonprofit sector and what it takes to be a rock star Board member! You’ll learn the top ten roles and responsibilities of Board members and how to find opportunities to deepen your community engagement. 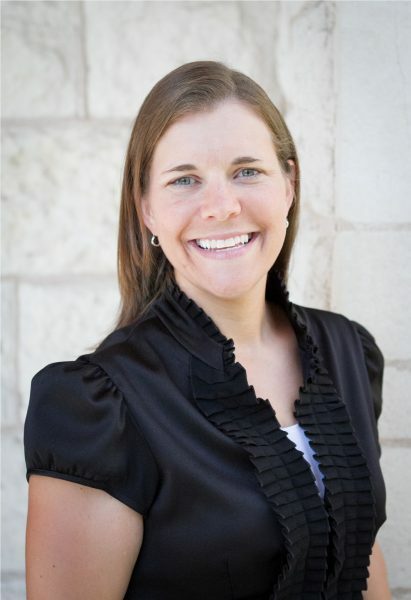 Amber Fogarty is proud to serve as Mission Capital’s Director of Learning and Leadership. In this role, Amber is responsible for leading the evolution of the organization’s learning and leadership development offerings by bringing together exceptional nonprofits and strong local leaders to solve big community problems. Prior to joining Mission Capital, Amber spent fourteen years as a leadership, communications, and development professional for both nonprofit and for-profit organizations. Amber has also served as an Adjunct Faculty Member for the School of Management and Business and the New College Program at St. Edward’s University, as well as the College of Business at Concordia University Texas, teaching Business Communication, Technical and Business Writing, Business and Professional Speaking, and Marketing Communication. She is a passionate advocate for those experiencing homelessness and currently serves as the Board Secretary for Mobile Loaves and Fishes. She has also volunteered for the Ending Community Homelessness Coalition (ECHO) as the Co-Chair of the Education and Outreach Workgroup, a member of the Speaker’s Bureau, and the Co-Chair of the ECHO Family Festival. She is a proud alum of the Leadership Austin Emerge Program and a member of the Texas Conference for Women Social Media Street Team. Amber received a Bachelor of Arts degree in Communication and an MBA with a specialization in Marketing from St. Edward’s University. She also earned a Master of Arts in Philanthropy and Development from St. Mary’s University of Minnesota. Amber and her husband, Martin, are having the time of their lives raising their two children in Austin. They are striving to raise them to be strong leaders with big hearts. RSVP through Eventbrite required to attend.